BROWNSVILLE — A state District Court judge yesterday rejected a blizzard of motions to dismiss felony charges against “Park Girl” Jo Leigh Ares. Criminal charges in the long-running case against the 39-year-old Ares, who operated a mobile home sales business in La Feria, were filed in 2013. Previous court filings on Ares’ behalf by her attorneys have delayed the start of a trial. Ares, who was not in the courtroom yesterday, is accused of theft and deception for allegedly taking payment for mobile homes in what prosecutors say was a scheme in which more than 70 people paid her for homes she failed to deliver. 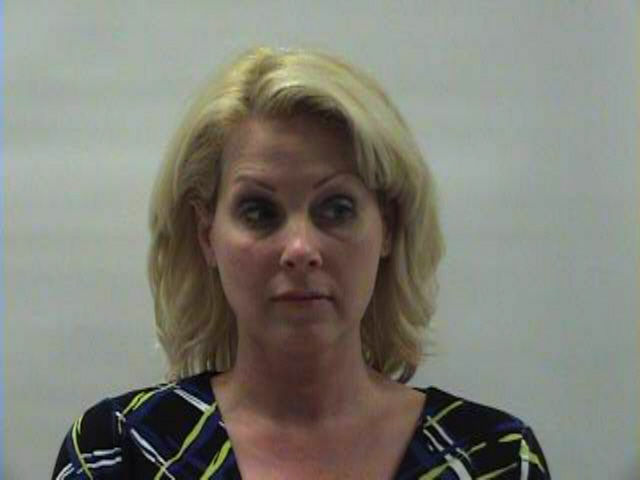 Prosecutors say she sold the same mobile home to multiple buyers. Ares’ defense attorneys have argued in previous court filings the case should have been taken up in civil not criminal court. On Friday, her attorneys, Ernesto Gamez Jr. and Erin Gamez, argued the one-time beauty queen had been charged under the wrong statute and was overcharged with felonies which should have been misdemeanors. Judge Elia Cornejo Lopez was dubious about the defense counsel’s claim, saying the state regulatory statute they say she should have been charged under would still be a Class A misdemeanor, which carries a sentence of up to a year in jail upon conviction. The sometimes lively exchange between the defense lawyers and Cameron County Assistant District Attorney Patrick Rodriguez became heated at one point. “Would you be quiet a second?” Rodriguez responded. “No, I want a legal objection,” Ernesto Gamez Jr. said. After the judge ruled against the motions to dismiss the charges against Ares, defense counsel said they would appeal once again. No trial date has been set. March 2013 – Indictment issued consolidating previous cases on charges of theft and “execution of a document by deception,” alleging Ares took customers’ money but failed to provide a promised mobile home or refund the customer’s money. February 2014 – Defense appeals to 13th Court of Appeals. Jo Leigh Ares’ troubles began in 2011 when Texas RioGrande Legal Aid filed a civil lawsuit in state district court in Brownsville on behalf of more than 40 customers of Park Girl mobile home sales, operated by Ares, who were claiming they had been defrauded. TRLA alleged that many of its clients never received their home, were not given the title to the property, or were provided with property that carried previous debts. The Texas Manufactured Housing Division and the Texas Attorney General’s Office entered the dispute and began working jointly in attempts to provide relief to customers of the then-defunct mobile-home business Park Girl Sales that was based in La Feria. In February 2012, the first criminal complaint was filed against Ares alleging misdemeanor theft. Then in March 2013, an indictment was returned alleging felony theft. This consolidated previous complaints. The felony case was delayed in February 2014 when the defense appealed to the 13th Court of Appeals in Corpus Christi, arguing the judge had improperly denied a motion to dismiss the case. The appeals court ruled in October 2015 that the judge had not erred, allowing the case to proceed. Yesterday, the judge again denied defense motions to dismiss.